Home Articles Where do maths graduates actually work? If you are considering taking a mathematics related degree, then make sure you read this article as it will help you understand your excellent potential job prospects once you graduate. 1. The demand for mathematically qualified people has risen. Between 2011 and 2013 the number of people working in jobs where mathematical sciences qualifications are essential rose by 20%. (The total UK workforce only rose by 2.3% in this time.) Almost 2,000,000 people now work in jobs where mathematical sciences qualifications are essential. 2. Jobs where mathematical skills are essential have good salaries. Nationally around 50% of people who work in jobs where mathematical sciences qualifications are essential earn £29,000 or more. If instead you look at jobs where mathematical qualifications are irrelevant, then only 9% of people earn over £29,000. In 2012/2013, just six months after graduation, the median salary for mathematical sciences graduates was £24,000. 19% of those graduates were already earning more than £30,000 and 7% were already earning £40,000 or more. These are excellent starting salaries for graduates who have only just left university. 3. Mathematical Sciences degrees lead to a wide range of interesting careers. What is interesting is that no one particular employment sector employs a large majority of graduates, meaning that mathematical sciences graduates can have a wide choice of careers, depending on their interests. Take a look at our career profile page to see some examples of potential careers. 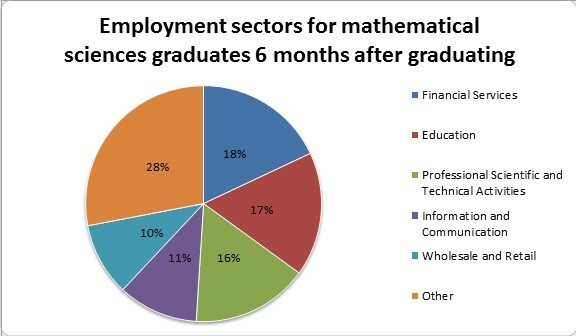 The report quoted that some of the most common roles which mathematical sciences graduates entered as including actuaries, economists, statisticians, management consultants, business analysts, science and technology professionals, programmers, software developers, financial analysts and teaching and research professionals. 4. Taking a mathematical sciences degree keeps your options open. The CMS report confirms that taking a mathematical sciences degree keeps your options open and that there are a wide variety of careers available to mathematical sciences graduates. If you enjoy mathematics, you don’t need to know which career path you would like to take at the end of your degree. 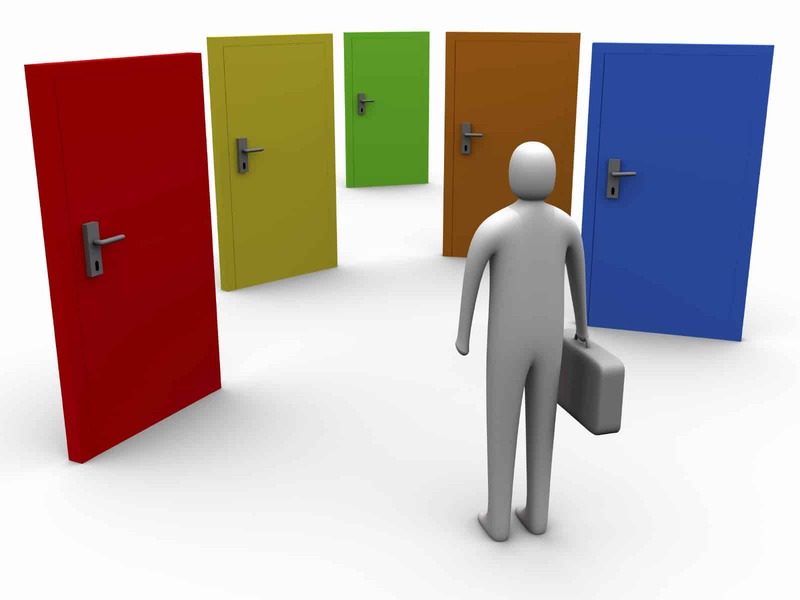 What you can be sure of is that you are likely to have good job prospects, as well as options for further study or research. It can however be important while studying for a degree to start thinking about a career path so that you are able to investigate your options and undertake any relevant work experience.